Screech or klunk-klunk-klunk are not sounds you want to hear coming from the direction of your air conditioner. Air conditioners are rascally machines, too. They do not pick nice 75 degree days to make these sounds; they wait until the temperature is creeping up toward the 40 degree mark or higher. A little bit of regular maintenance can save you a whole lot of money when it comes to your air conditioner. 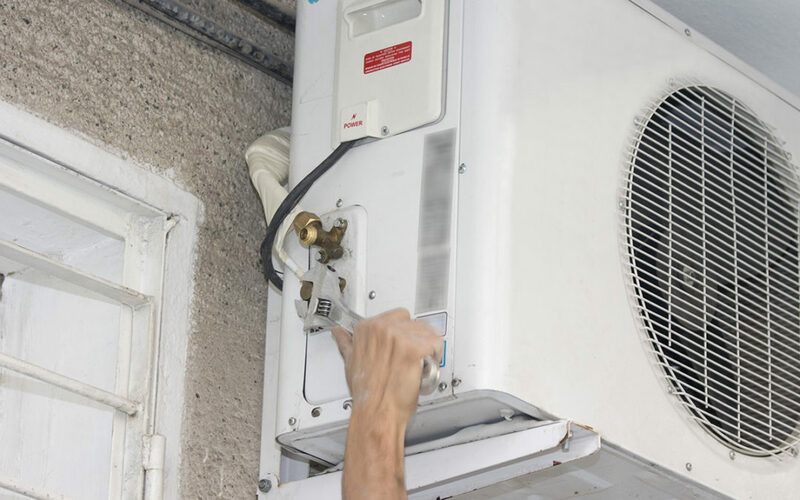 Modern air conditioning units are designed to last many years, but when they are not properly maintained, things can go wrong that shorten the duration of their lives. Routine maintenance catches those pesky air conditioning problems that start small and may be unnoticeable to any but the trained eye of an HVAC professional. Left unattended and free to grow, these small air conditioning problems can grow into major expenses that involve down time of your air conditioning unit, often in the hottest periods of the year. Routine air conditioning maintenance also saves in energy costs. When a unit is overworking due to a minor malfunction, it can use up a lot of extra electricity. While the modern air conditioners are built to be very energy efficient, they lose this capacity when parts malfunction that could easily be repaired. When you have your condenser coils cleaned regularly, you will save on energy costs. Your home or office will be cooler when your air conditioner’s coolant is periodically checked and recharged if necessary. Regular maintenance upholds your unit’s warranties. Periodic maintenance also saves you money on major repairs when small problems can be caught and addressed before they become big ones. Your air conditioner will run more quietly when it is cleaned and maintained regularly. Routine preventive maintenance can extend the life of your air conditioning unit by many years. Inspect, clean and tighten electric terminals, belts, motors, and connections. When you schedule routine maintenance, you will be less likely to ever hear screech or klunk-klunk-klunk.